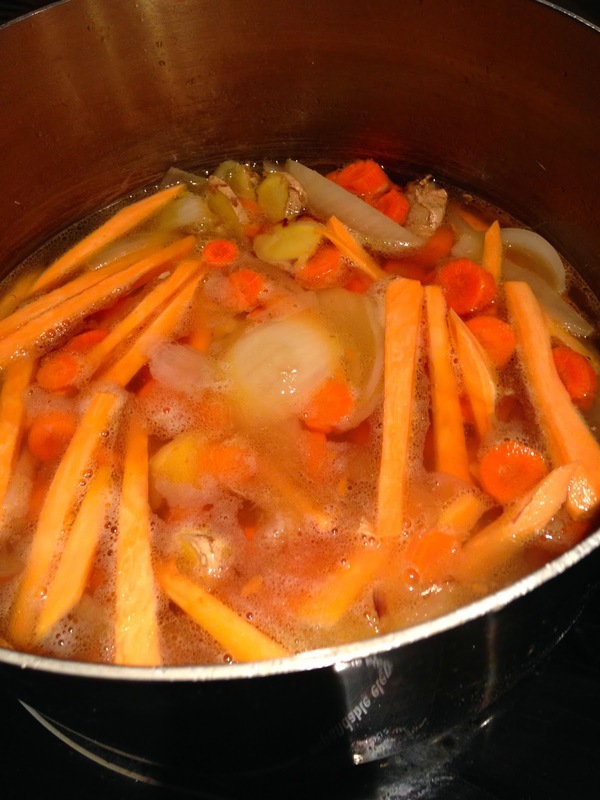 There isn’t much better than a hot, hearty soup on a cold winter’s day. 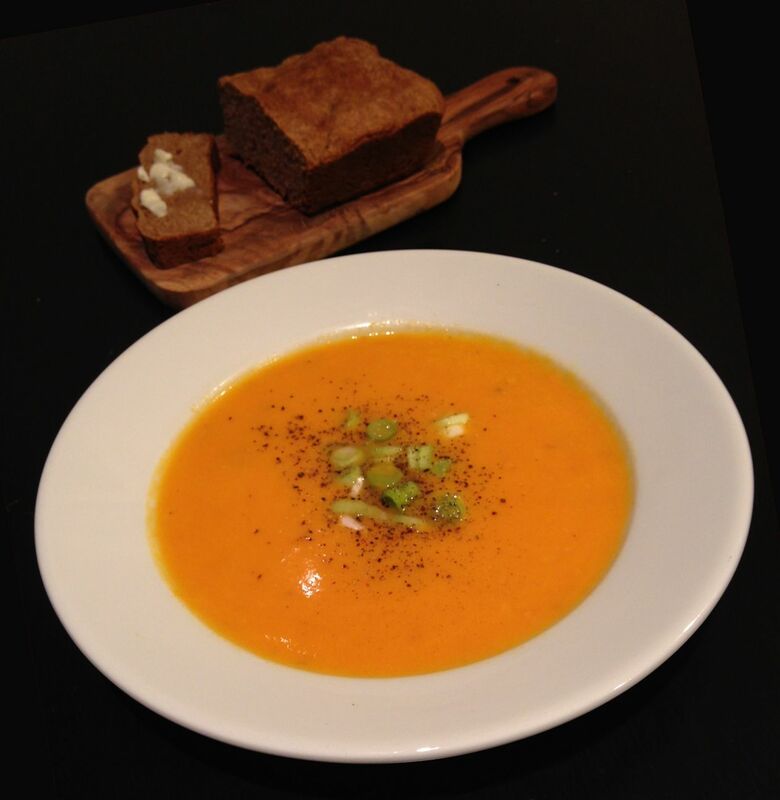 Well, maybe a hot, hearty soup with a slice or two of homemade bread still warm from the oven on the side! 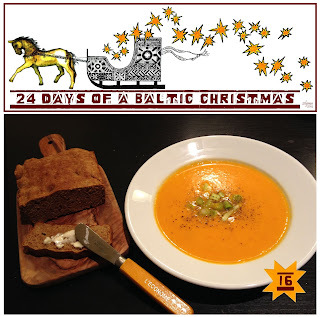 Last year on a Baltic Christmas Day 11 we welcomed Marika Blossfeldt, author of “Essential Nourishment: Recipes from My Estonian Farm.” Today’s featured soup and bread are from this book: Carrot Ginger Soup and Karask – Traditional Estonian Barley Bread. 1. 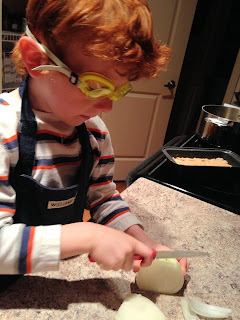 In a large pot, sauté the onion in the oil for 7 to 10 minutes. 2. Add the garlic and ginger. Sauté for another 3 minutes. 3. Add the carrots, sweet potato and water. Bring to a boil and cook over medium heat until the carrots are tender, about 15 minutes. 4. 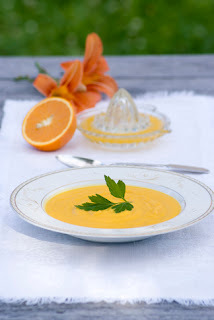 Pour the mixture into a blender or food processor and puree until smooth, adding more water if necessary. 5. Return the puree to the pot. Stir in the orange juice and salt and pepper to taste. Bring to a boil. Pour into soup plates and garnish with chopped scallions or parsley leaves. Note: The skin of ginger is edible. Because the soup is pureed, there is no need to peel the ginger in this recipe. You can substitute a white potato for the sweet potato. This is an Estonian folk recipe that I adjusted to include only whole foods and natural sweeteners. 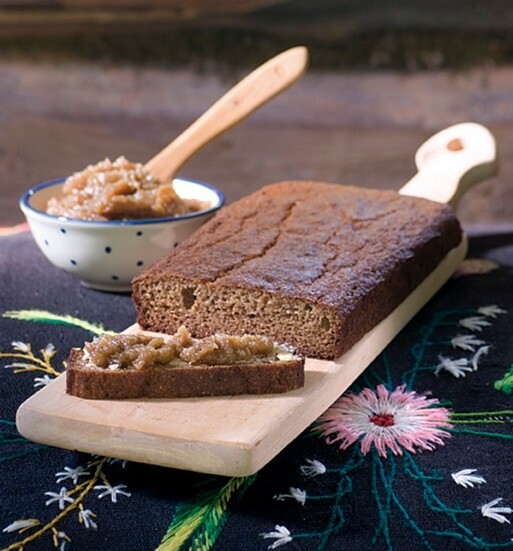 The barley flour gives it a distinct, sweet taste. 3. Combine the farmer cheese, kefir, egg, salt and honey in a bowl and mix until smooth. 5. Combine the flours with the baking soda and add to the batter. Mix well. 6. Pour the batter into the pan and bake for 30 to 40 minutes. To check whether the bread is ready, insert a wooden toothpick into the center. When the toothpick comes out dry, the bread is done. 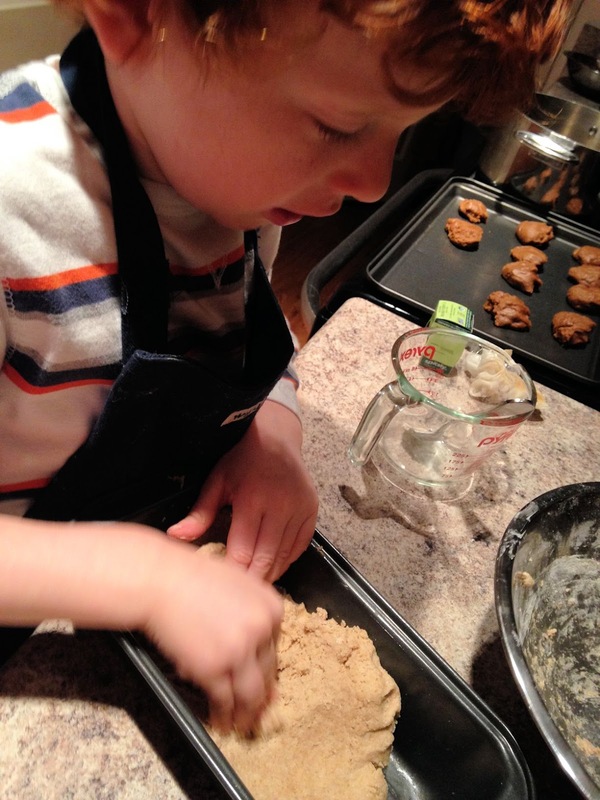 Thank you also to Holden’s test kitchen! The only notes that came from Katie were in regards to the soup; a caution that a smaller quantity of ginger was more than adequate for children’s taste buds… I’m a big fan of a hearty, healthy soup paired with homemade bread on a damp South Carolina evening, great choices you guys! Join us tomorrow for more Baltic and nature-inspired crafts here on 24 Days of a Baltic Christmas.